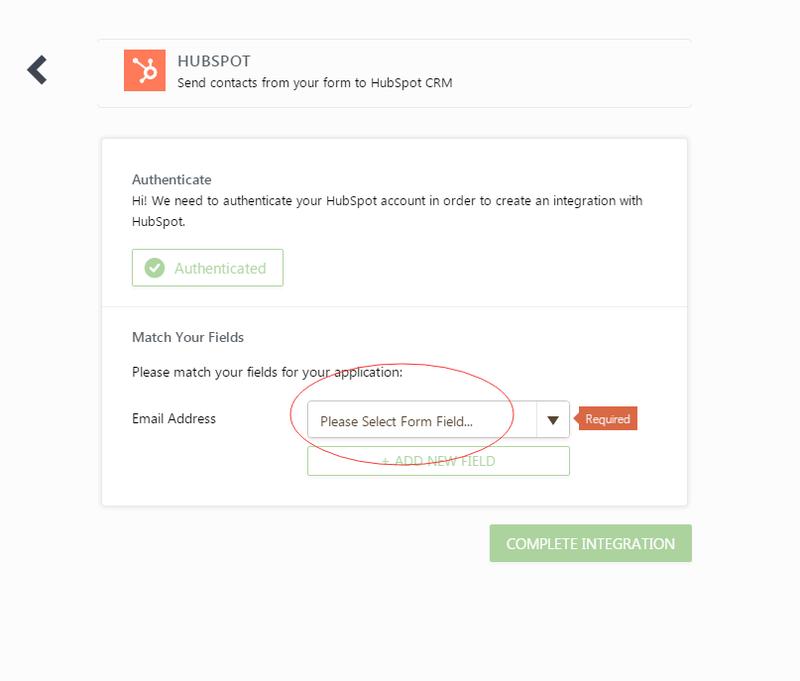 Please note that it is required to have an email field on your form in order to connect to your HubSpot. Please check your form and add an email field to map with the email address field in the HubSpot. You may refer the following guide for instructions to integrate with HubSpot. If you are still experiencing any issue, please provide us with the form ID/URL so that we can check it further.